Remember how I said....wait, is this another post?...hmmm, so it seems.Hopefully I dont run out of things to talk to yall about.Okay, well remember how I said that sometimes the songs people listen to let us know more about them? Well the same can be said about the songs they choose. I conducted a bit of an experiment on my readers...nothing serious just a Survey or Poll of sorts. Here is how things went down. I asked 4 completely different readers, really they were just friends that occasionally read my blog. 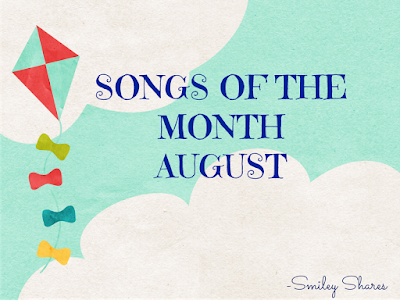 To listen to my playlist of all the songs featured during the month of August on my blog. They had to pick top 3 songs, somehow that was a big issue I kept getting 4 or 5...Sorry guys. I also asked that they give me a small explanation about why they picked that song....I know, I ask for a lot. Thankfully, I have great readers/friends, and this is what they decided were their SONGS OF THE MONTH. The motivation to be able to fully give yourself to Him, when you begin to feel stuck. I can picture not only the character in the song, but myself in certain situations/phases of my life where I have felt like that. The lyrics in this song paint a clear story about the life of this individual. It inspires me to be able to find the silver linings in life, and take advantage of every second to the fullest. It's the song that reminds me of my husband and how he has been able to Rise through the troubles we have faced. It also reminds me of myself, and the tough events I have personally gone through. This song tells the story of many great people, that rise through it all. 1. Riser- Why?It's an empowering song, reminded me of my father.Through all the hard ships that we have faced he was always strong, he pushed and carried the family. 2.Hole in a Bottle- Why? It's a party song. Sometimes you just need the perfect song to just enjoy some time with friends. This song is just perfect for that. 3. Sent Me You- Why? It brings memories of the moments when I met a special someone. This song was able to explain just that for me. 1. Old with You- Why? Is one of those songs that describes what many would want in a relationship. Someone who loves them and is willing to just be with them forever. I want something like that. It's a painful song that reminds me of a relationship. One that I treasured but somewhere around the lines, ended up hurting me more than anything. It would be better to just forget it. Sometimes friendships or relationship don't end on the best terms. Yet, you can still care for that person. It would be great to just be able to talk to them, even if it is about silly things. 1. Lego House- Why?Well, I simply like Ed Sheeran. Also, I like the lyrics, they remind me to pay attention to those around me that are truly there for me. Sometimes we tend to take people for granted. I take it as a warning, to not let myself get into the routines of life. Reminds me that I should be living my life fully in Him. It is the only way we can actually "live life fully"
I like that it is the guys perspective of a relationship where he has given his all. Unfortunately the girl, like many that have been in not-so-great relationships is not able to because of the walls and insecurities she has in this relationship. It is a story that I have heard of way to often. We need to learn from relationships but live each new one individually. 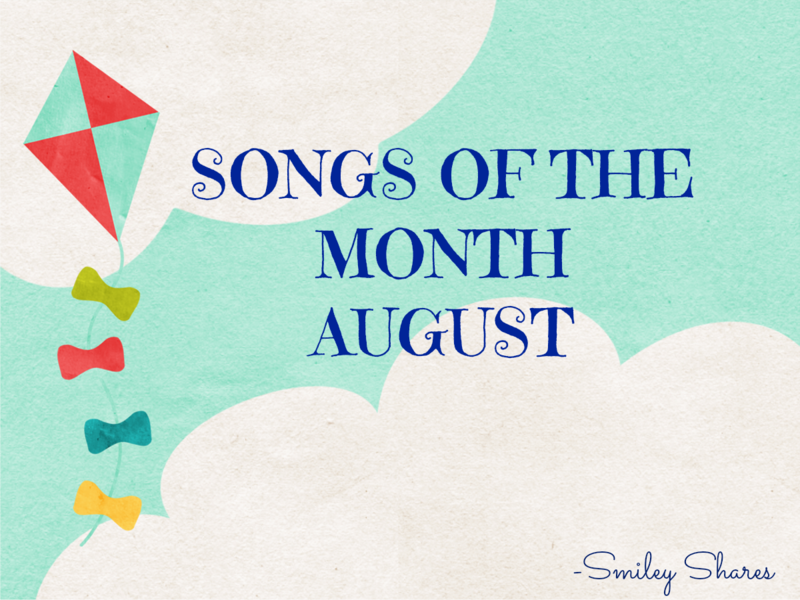 These are our Songs of the Month. Thank you to my friends who were willing to be a part of this. Thank you, for sharing a part of you. I enjoyed seeing how one song can mean something different to each person. And how many different people can relate to one song. Now I would like for YOU to tell me what were your favorite songs, from the month of August. It would be great to hear your thoughts. Here is the playlist. PS. I am always opened to suggestions. September has just started it and I am hoping to be able to do this again. Labels: life , Songs of August , Songs of the Month , What am I listening to?